Cremation offers a wide range of options that are available which provide a meaningful funeral service. 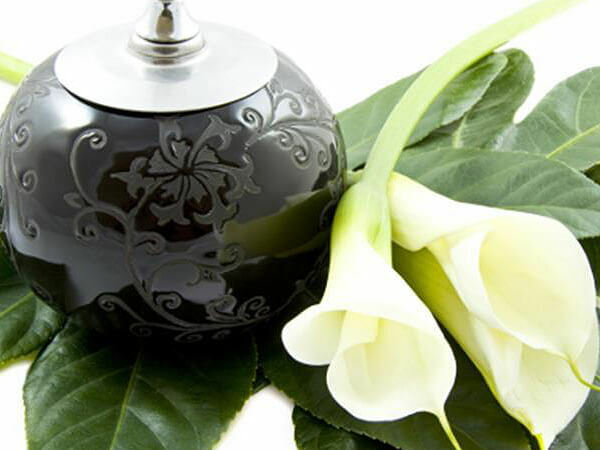 Cremation is a personal and a family decision and does not necessarily take the place of customary funeral services. You might prefer a funeral service, memorial service or immediate cremation. There are also many choices regarding final disposition, such as burial, entombment, permanent possession or scattering. We would be happy to discuss these and other choices with you. Twenty-four hour/365 days per year availability; Administrative expenses; Arrangements Conference; Planning, Supervising, Coordinating service details with those involved in the funeral service; Securing, Preparing and Filing necessary permits, certificates, authorizations, and consents; Clerical and Record Keeping; Embalming; Other Preparation of the Body; Viewing & Visitation; Funeral Ceremony at Funeral Home or other location; Transfer of Remains; Sheltering of Remains for up to five days, after which time charges will accrue per day as listed on the General Price List, Hearse to Crematory. This package includes our Basic Life Tribute Video Package with one copy for the family, an invitation to our Tree of Memories Holiday Remembrance Service held between Thanksgiving and Christmas of each year, and there will be a tree planted in memory of your loved one in the state of Maryland as part of Lofty Oaks. Twenty-four hour/365 days per year availability: Administrative expenses; Arrangements Conference; Planning, Supervising, Coordinating service details with those involved in the memorial service; Securing, Preparing, and Filing necessary permits, certificates, authorizations, and consents; Clerical and Record Keeping; Other Preparation of the Body; Transfer of Remains; including Sheltering of Remains for up to 48 hours, after which the per day Sheltering of Remains charge as listed on the General Price List will be assessed; identification of remains for up to 3 people, in the event that there will be more than 3 people, the visitation fee, as described on the General Price List or a portion thereof will be assessed; Hearse to Crematory; Memorial Service at Funeral Home. This package includes our Basic Life Tribute Video Package with one copy for the family, an invitation to our Tree of Memories Holiday Remembrance Service held between Thanksgiving and Christmas of each year, and there will be a tree planted in memory of your loved one in the state of Maryland as part of Lofty Oaks. Twenty-four hour/365 days per year availability: Administrative expenses; Arrangements Conference; Planning, Supervising, Coordinating service details with those involved in the memorial service; Securing, Preparing, and Filing necessary permits, certificates, authorizations, and consents; Clerical and Record Keeping; Other Preparation of the Body; Transfer of Remains; including Sheltering of Remains for up to 48 hours, after which the per day Sheltering of Remains charge as listed on the General Price List will be assessed; identification of remains for up to 3 people. In the event that there will be more than 3 people, the visitation fee, as described on the General Price List or a portion thereof will be assessed; Hearse to Crematory; Graveside service. Twenty-four hour/365 days per year availability; Administrative expenses; Arrangements Conference; Planning, Supervising, Coordinating service details with those involved in the cremation service; Securing, Preparing, and Filing necessary permits, certificates, authorizations, and consents; Clerical and Record Keeping; Other Preparation of the Body; Transfer of Remains; including Sheltering of Remains for up to 48 hours, after which the per day Sheltering of Remains charge as listed on the General Price List will be assessed; identification of remains for up to 3 people. In the event that there will be more than 3 people, the visitation fee, as described on the General Price List or a portion thereof will be assessed; Hearse to Crematory. This package has all the services listed above except on a very limited basis. There will be no death certificate copies obtained, no obituary information taken, identification of remains for 2 people only, no services or visitation. To receive this package and pricing, it must be paid in full at time of arrangements, by cash, check or credit card only. We will not accept insurance assignments for this package.